Help Build an Alternative Food System! Support the Southeast Area Farmers’ Market. Did you know that Our Kitchen Table manages the Southeast Area Farmers’ Market as part of its strategy to build an alternative food system in Grand Rapids’ southeast neighborhoods? These neighborhoods are often labelled “food deserts,” although OKT finds this term misleading. It’s not simply that these neighborhoods don’t have grocery stores. The current corporate controlled food system profits tremendously from selling junk and fast foods here. OKT sees this practice as food apartheid as our food system offers healthy, whole foods in predominantly white, income-secure areas and nutrient-poor foods in income-challenged communities of color. We all can build a better local food system by growing our own food, buying from local growers and pooling our resources to buy healthy bulk foods from places aligned with a food justice perspective. The Southeast Area Farmers’ Market brings you fresh, local fruits and veggies as well as opportunity to order healthy whole foods from Country Life Natural Foods. Fridays from 3 p.m. to 7 p.m. at Garfield Park, 334 Burton St. SE. Saturdays from 11 a.m. to 3 p.m. at Gerald R Ford Academic Center, 851 Madison SE. 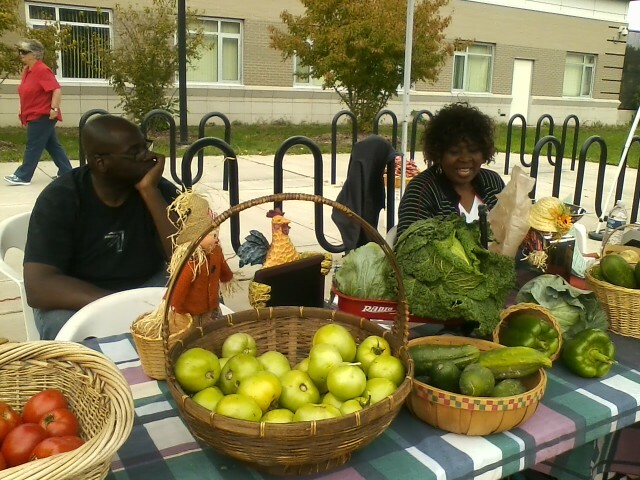 The Southeast Area Farmers’ Market warmly welcomes Bridge cards (SNAP), Double Up Food Bucks , WIC Project Fresh, Cash Value Benefits, Summer EBT and debit cards. If you make a purchase with a Bridge Card, you get $1 for every $1 you spend to buy more Michigan produce (up to $20 each visit)!